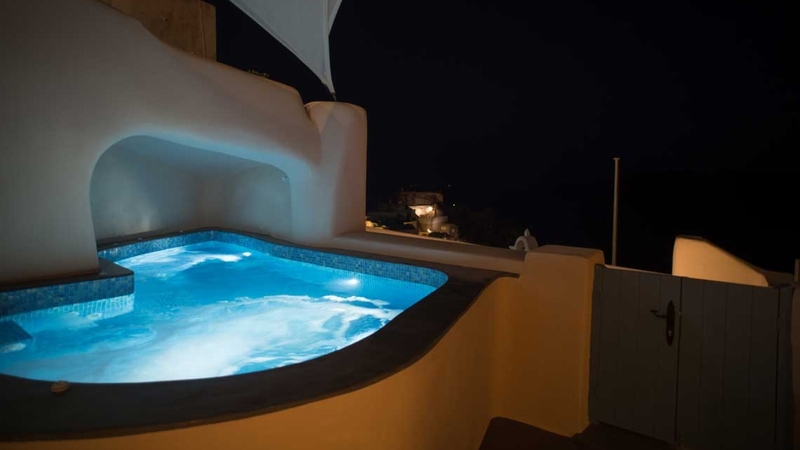 Designed in a traditional Cycladic style, the villa has its own private jacuzzi/pool and terrace for endless, carefree hours of sunbathing. 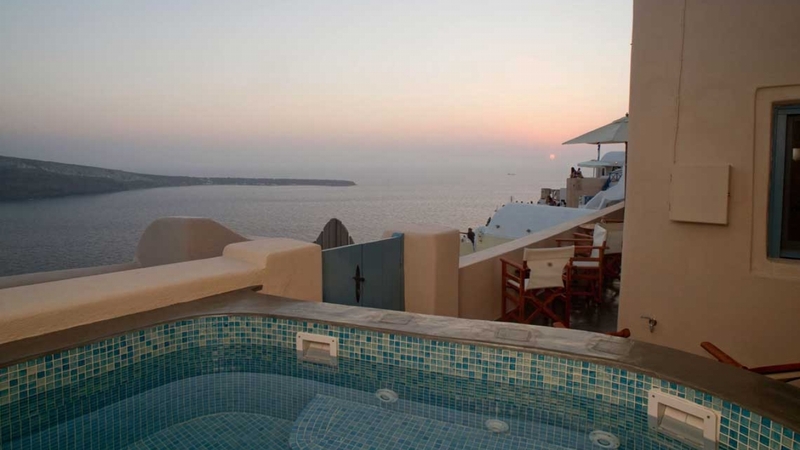 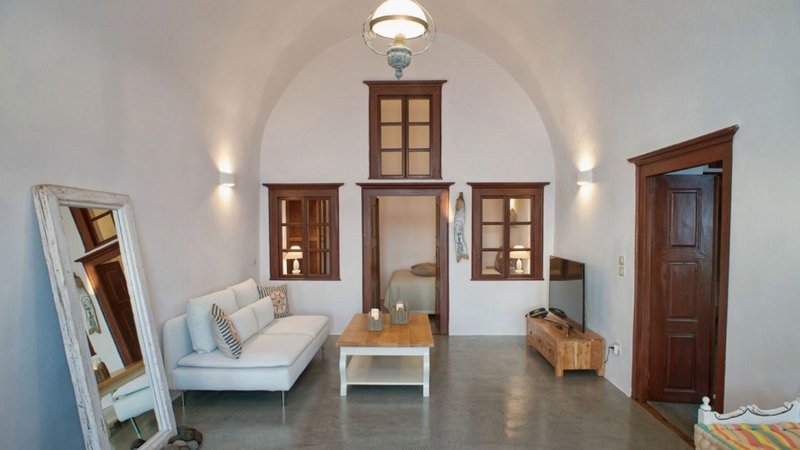 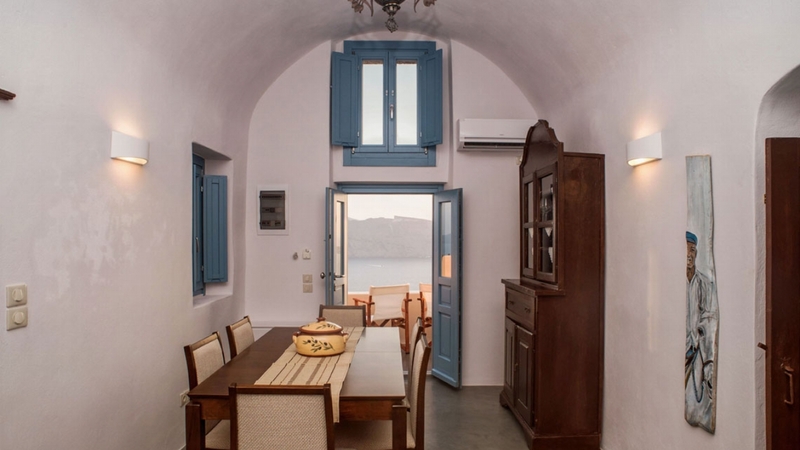 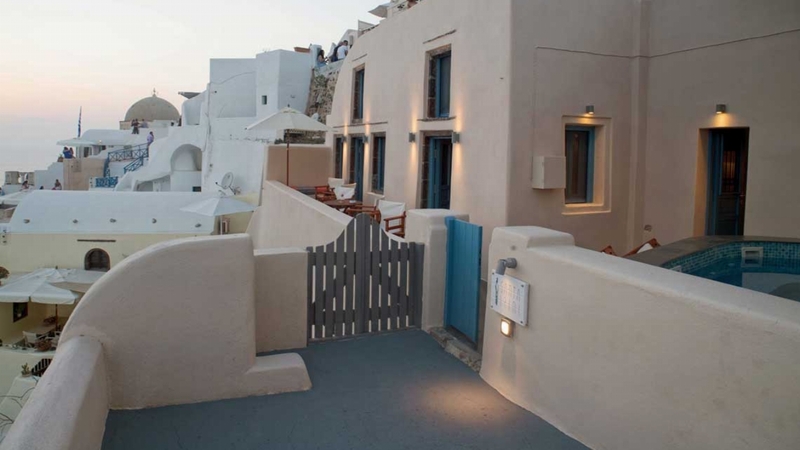 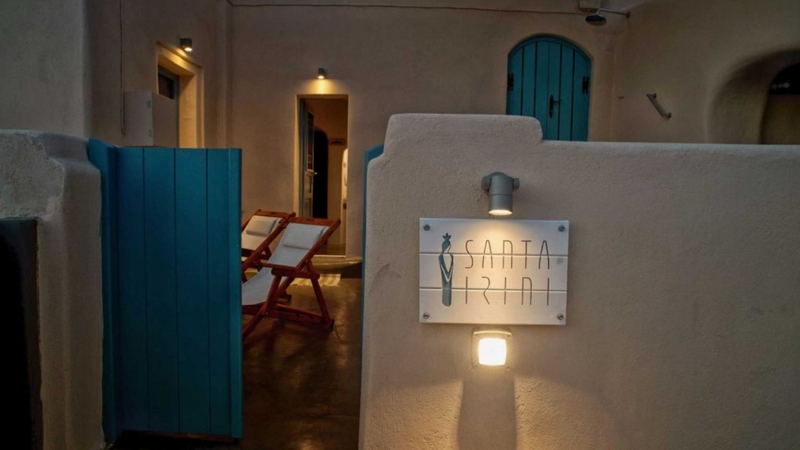 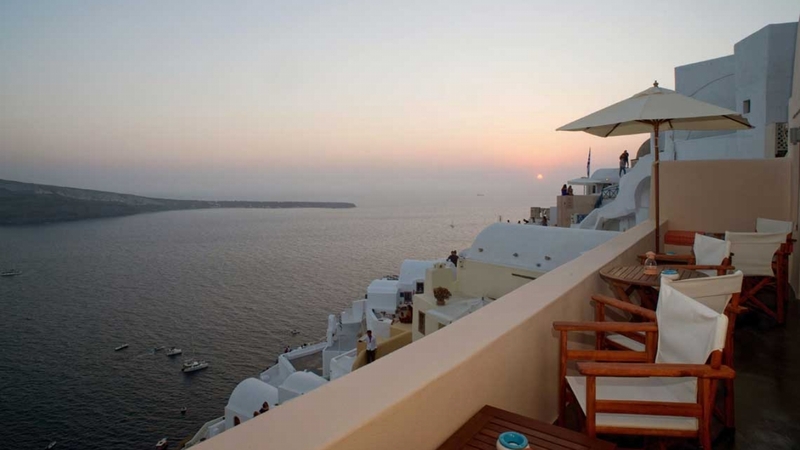 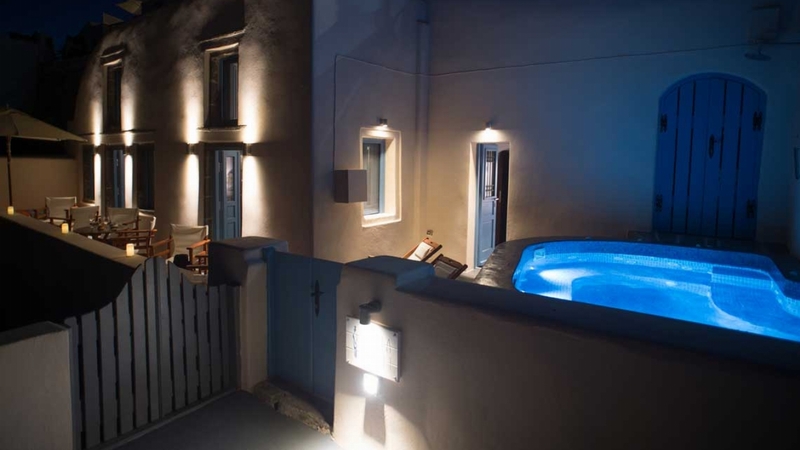 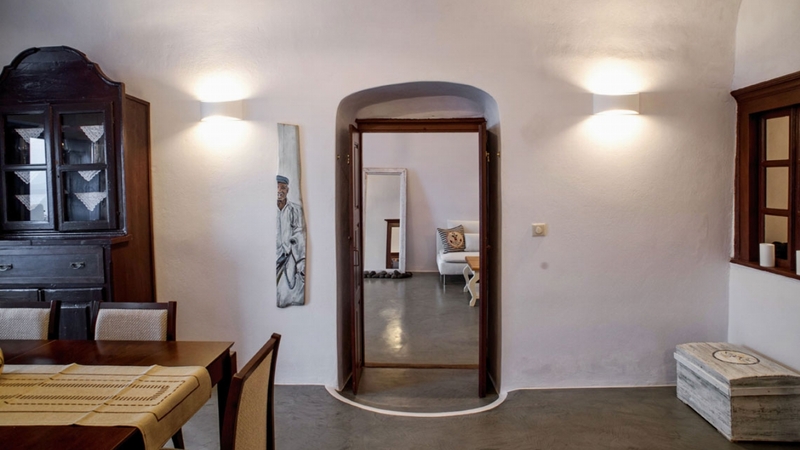 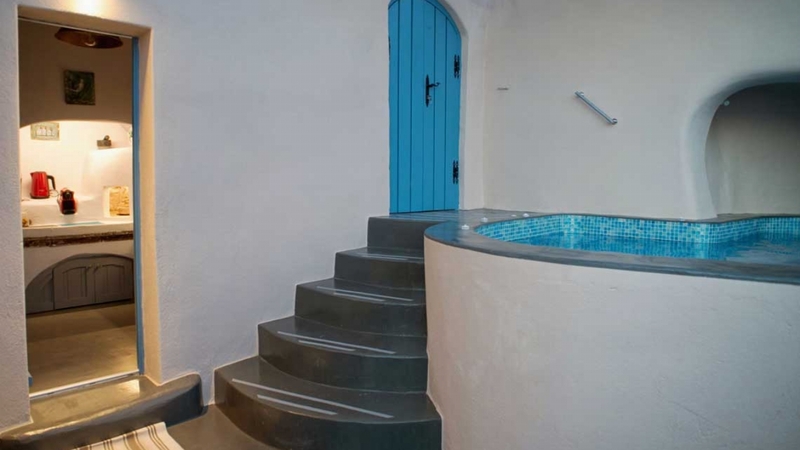 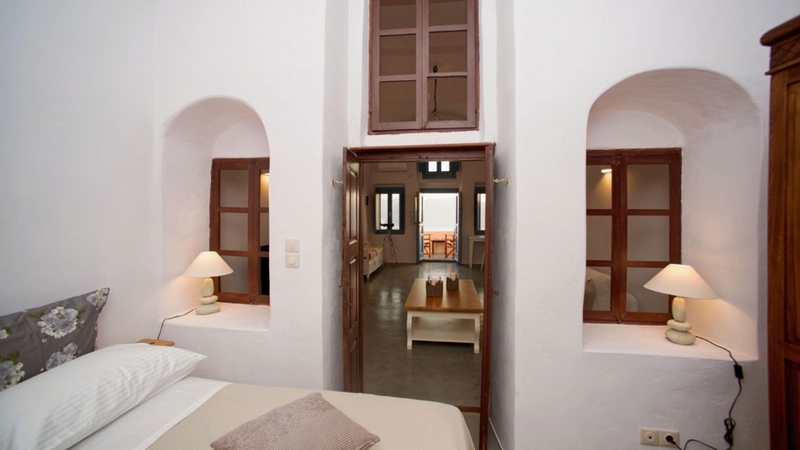 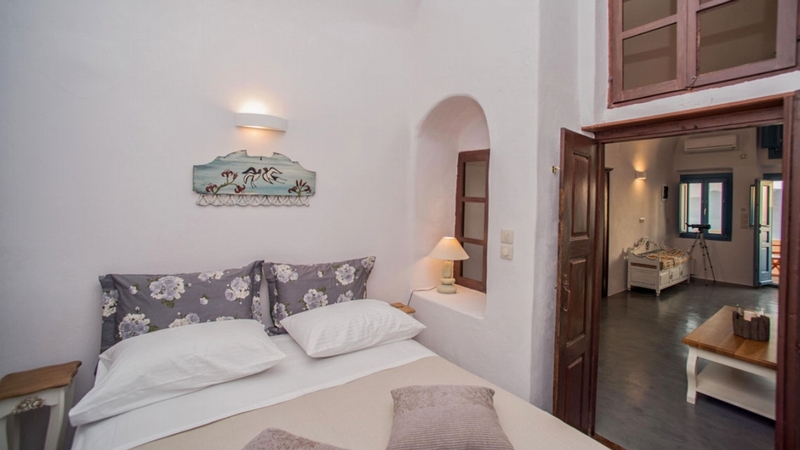 At the same time, it is just a short walk from the lively centre of Oia. 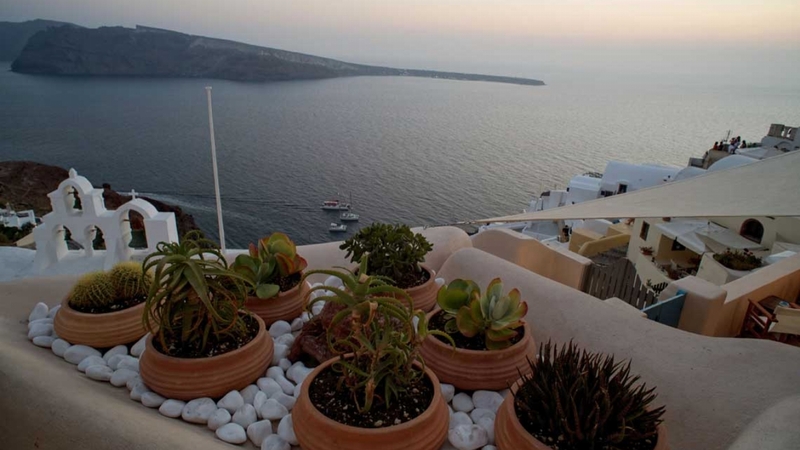 And for the days you want to relax, Oia’s market lures the senses with fresh fruit and a huge choice of fish. 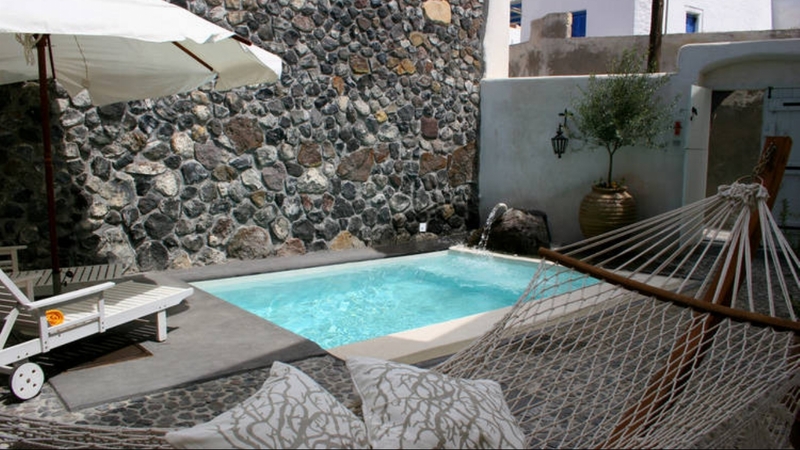 The villa features a sea-view terrace and an outdoor, heated whirlpool to relax, while inside you will find two bedrooms with a seating area and a dining area that will harmoniously complement your stay. 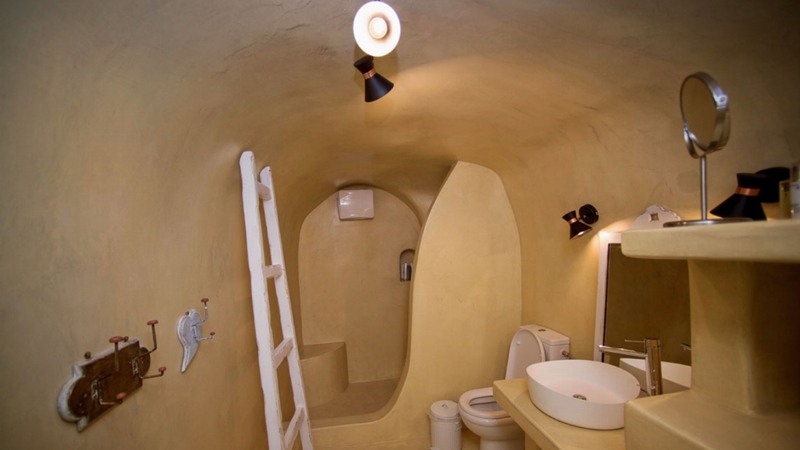 Maximum Capacity: Sleeps up to 6 persons. 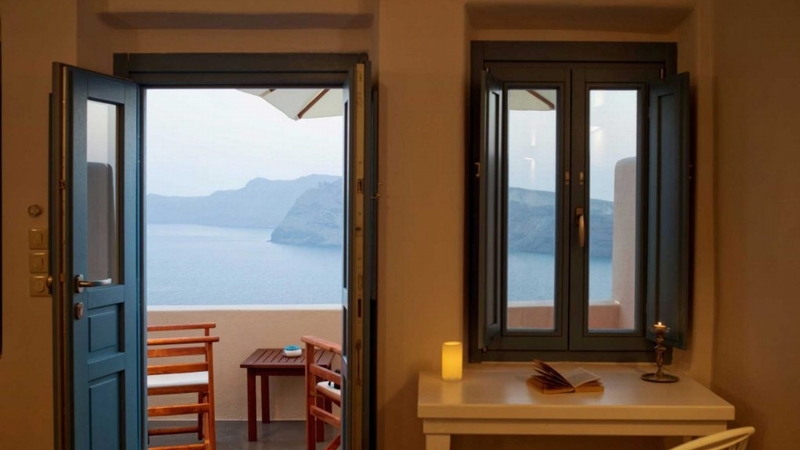 Peak Season: minimum stay 5 nights. 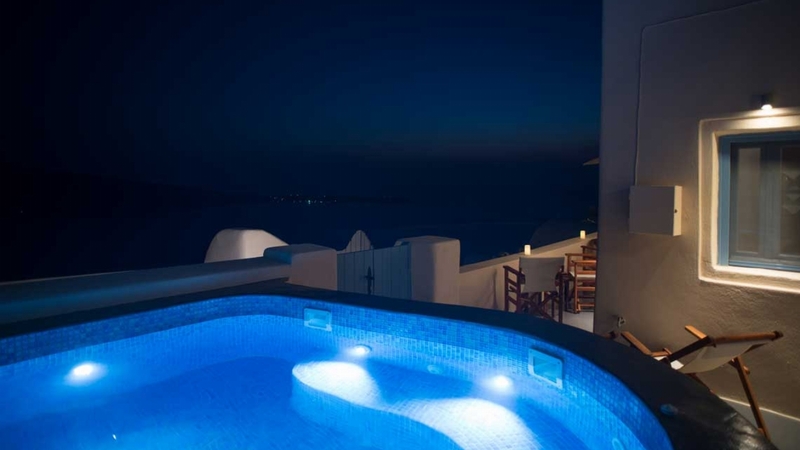 Rates include all applicable taxes, daily housekeeping (change of linen every three days), dedicated concierge person, swimming pool.